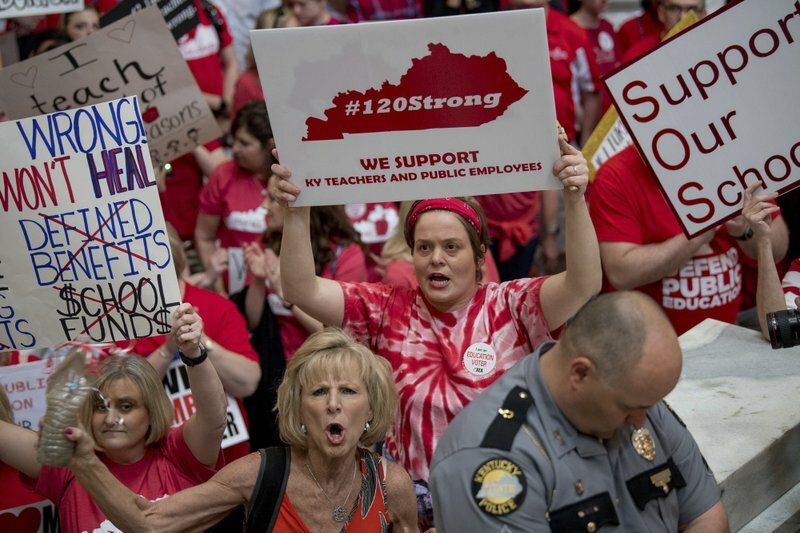 As Kentucky teachers declare victory after the Republican-dominated legislature overrode vetoes from the state’s GOP governor of a spending plan that included new money for education, the question going forward is whether teachers will be able to sustain their momentum into the fall elections when Republicans will try to defend their super majority. 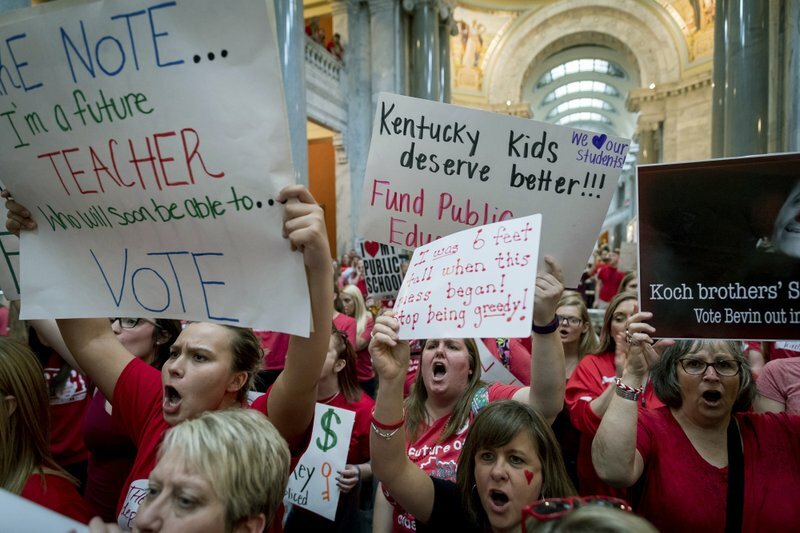 Thousands of teachers rallied inside and outside the Capitol on Friday. The rally took on a festival-like atmosphere as some teachers sat in lawn chairs or sprawled out on blankets. Crosby Stills, Nash and Young’s hit “Teach Your Children” bellowed from the loud speakers. 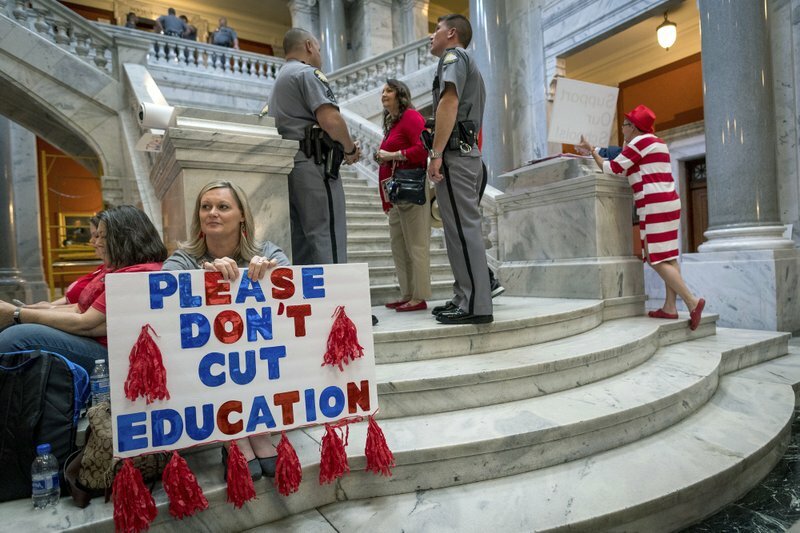 Kentucky’s two-year operating budget includes record new spending for public education, fueled by a 50-cent increase in the cigarette tax and a 6 percent sales tax on some services including home and auto repair. 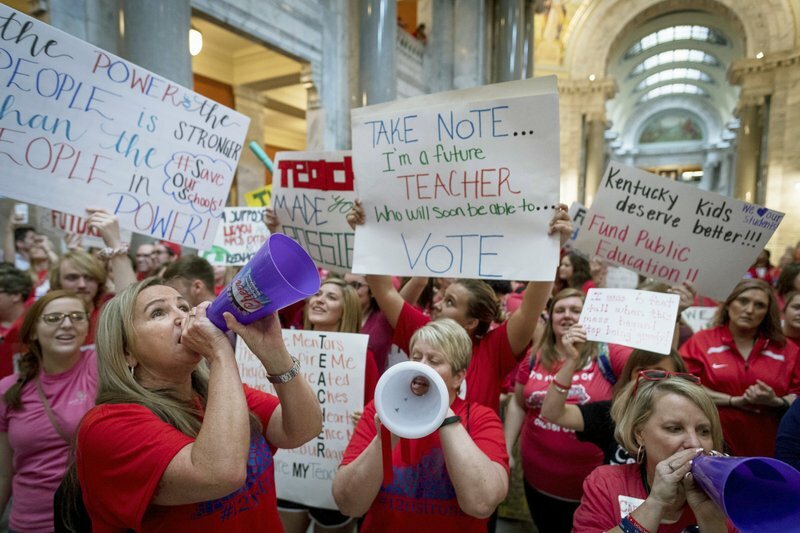 But Bevin vetoed both the budget and the money in it, calling the bills “sloppy” and “non-transparent.” He said they would not raise enough money to cover the new spending.